Oh you guys are so lucky. I was close to writing a list of the top 100 OWIG gaming moments….then Nick threatened to throw a kettle at me and I acquiesced…. Instead… Well where to start. Well, There’s a more general comment I’d like to make first. The thing I love about OWIG is that, at least from my perspective, it forces me to consider what I’ve been playing and more importantly, why. We’re lucky in the fact that we get exposed to many new titles and often ones we normally wouldn’t go for. It broadens your horizons, which can only every be a good thing. It also means our actual gaming time (as believe me, reviewing a game is different to just playing it for fun) is precious. Often then in our OWIG’s, you’ll see us raving about things that have caught our attention or hooked us in some way. You’ll also find we talk about our go-to games (and genres) a lot. On a more specific note, I went through a long spell with XCOM in both OWIG and general articles. It got under my skin in a way that hasn’t happened in a long time. Seriously, 89 hours logged on steam. And that’s after it got reset after twenty odd hours…. 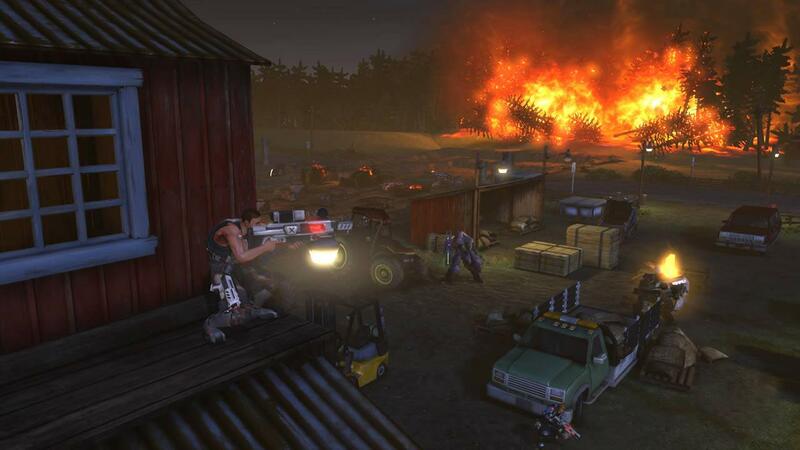 My personal highlight was the XCOM diary where the intrepid Reticule team faced off against the alien menace. We didn’t exactly bathe ourselves in glory…. In fact it was up to the exceptional Steph to salvage any honour for the side. I managed to squeeze one of my favourite moments into the main image of this post, and yes, I am talking about Nick’s enduring quests with Kerbal Space Program. This is a game that I’ve never quite devoted enough time to, and when I do, I find myself bouncing off it. However, the tales that those crazy Kerbal’s can get up to are wonderful, hilarious and sometimes a bit sad. The moment that Nick landed his team on the moon and planted The Reticule Flag with stick in my mind for quite some time, and it is certainly one of my big OWIG memories. Another sequence of OWIG stories that I have lived through were Jon’s XCOM tales where he took us brave Reticule members out into the hazardous, alien infested version of Earth…and promptly seemed to get us all blown away before leaving Steph as the lone survivor. It was a short ride, but it was thrill a minute all of the way. 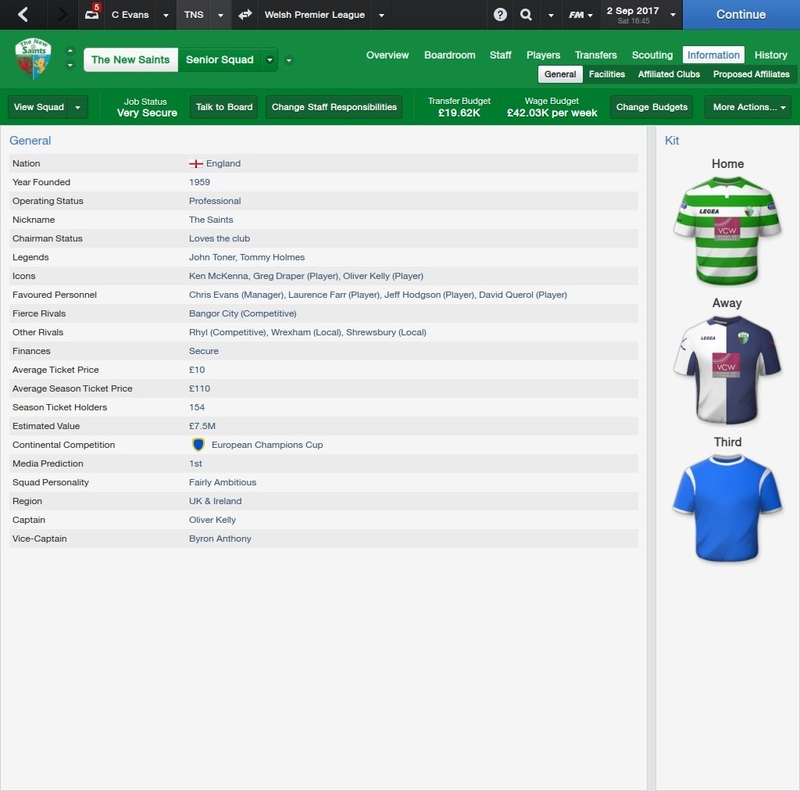 On a personal level, I have fond memories of my numerous updates over the years chronicling my performance with Welsh Premier League club, The New Saints in Football Manager. I’ve had a number of strong seasons with the small club that is actually based in England, with my adventures starting again with each new edition of Football Manager. At times I have stayed with the club to really build a dynasty and lead them towards some wonderful nights in the Champions League, while in one other game, I found myself managing a clutch of clubs in Argentina and Brazil. For such a simple game, I can get so much out of it. This year…I might take a break from The New Saints and try someone else. Maybe the challenge of taking Newport County from League Two to the Premiership is something I will take a look at when the next game lands. What I really like about what we do with Our Week in Games is that it gives us something to look towards each week where we can pause, take a break from some of the insanity that we see within this business, and reflect on our last week. It gives us a chance to talk about our day-to-day gaming habits beyond what we are reviewing. I’ve had a blast doing them, and I hope you all have enjoyed reading them. There can really be no argument about this. One game has frequently almost monopolised my tales of weekly gaming and there’s no prizes for guessing which one. A game without objectives, which nevertheless manages to push its players onwards with seemingly impossible challenges and moments of sheer terror – Kerbal Space Program. The above picture is without a doubt the crowning achievement of my travels in space and one of my most memorable moments in Our Week In Games. It was the night, a long time ago, when finally one of my spacecraft touched down on a new world. Duna is not a moon circling the Kerbal’s home planet, it’s a separate planet altogether, a Mars-equivalent that required planning, foresight, and an astronomical amount of luck to achieve what I thought was impossible. After a journey of months in space, those brave little Kerbals descended to the surface in little more than a tin can, and as I watched their fuel reserves plummet, I could do little more than cross my fingers and hope the ship would touch down gently as opposed to violently exploding. I never thought I’d get there, but I did.